Concerns have been raised by human rights campaigns group Black Mental Health UK that calls to the community to engage in a consultation on policing and mental health may mislead people into believing that a concerted effort is being made to improve the treatment of black mental health service users that come in contact with the police, when key agencies have been excluded from this panel. 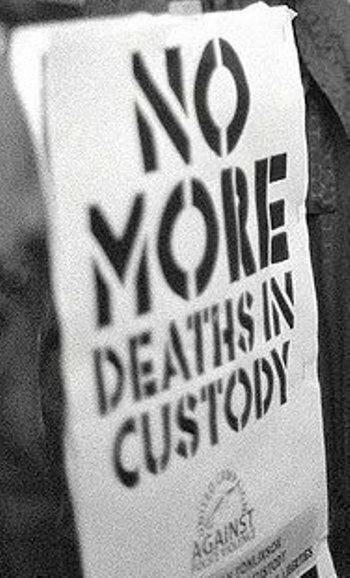 While 50% of those who lose their lives in police custody are mental health service users, not one single member of this panel has ever spoken out publicly about black deaths in custody, although this is an issue that has been plaguing the community for close to 30 years. The exclusion from the panel of any agencies that have been working with bereaved families who have lost loved ones who use mental health services at the hand of the police and agencies like BMH UK, who have been campaigning in the arena for a number of year has also been questioned. Fears have also been raised over those tasked with leading this commission, as key figures on this panel were also responsible for heading up the five year,multi-million pound, Delivering Race Equality (DRE) in mental health programme. The DRE programme was launched in 2005 in response to the tragic death of David ‘Rocky’ Bennett. This programme was set up to address the inequalities in treatment and care of black and ethnic minority (BME) people who come in contact with mental health services. Key objectives of this programme included reducing the detention rates of black patients under the Mental Health Act, reducing incidents of control and restraint, and ensuring community based early intervention services were made available to this group. During this five year programme, while detention rates for people subject to the Mental Health Act fell nationally, they doubled in the same period for black Britons. Matilda MacAttram director of Black Mental Health UK said: ‘it is disturbing to see that those who led on the DRE programme are now calling on the community to engage with them on a Police and Mental Health Commission, when they have not provided any information about the history or context of this issue. This Commission was announced after the highly critical Sean Rigg verdict, which again put the spotlight on how black men are treated when they come in contact with mental health services. Sean Rigg died during the DRE programme, which was set up to help people like him. The basis for any commission should be the Sean Rigg Rule 43 report which identifies critical learning in relation to how mental health services and the police should respond to those with mental illness. This entry was posted in Lifestyle & Health and tagged Delivering Race Equality (DRE) in mental health programme, black deaths in custody, black mental health service users, detention rates of black patients under the Mental Health Act, policing and mental. Bookmark the permalink.